Ever since I heard Sephora is in Paris, I've always wanted to see how different the Sephora France is to the American Sephora. I found a cheap flight to Paris, so I took advantage of it and headed to Paris for the day. Sephora was the first shop I stopped at in Paris, so I was excited to see how different it was to visiting the American stores. Staff were coming up to me speaking French. I said sorry I don't speak French and carried on looking around the store. 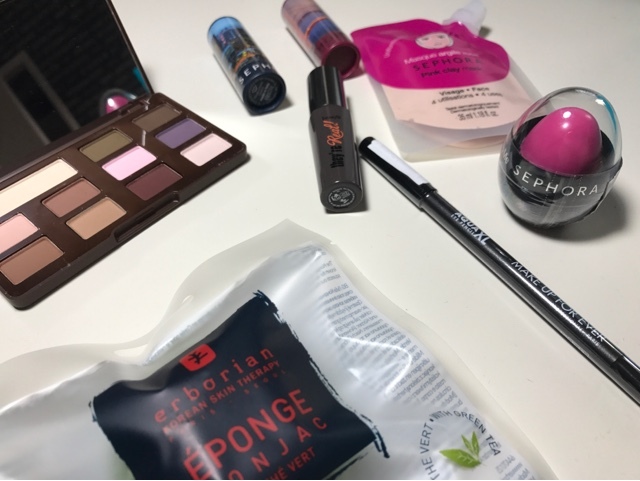 There was the usual Sephora branded makeup and skincare, some brands the same as in America and French brands. 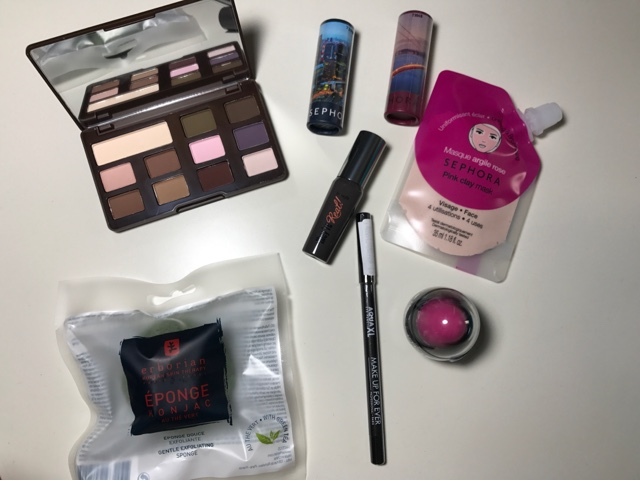 I was in a rush and limited to liquids I could take on the plane back home, so I ended up grabbing the Sephora favourites - Girly look selection, a couple of the Sephora lip stories lipsticks and a Too Faced palette. I headed to the till and the woman started speaking French. I knew I was going to have a problem, as I wanted to get one of the Sephora France loyalty cards to show I've been to a Sephora France. I spotted a photo of the Sephora loyalty card on the checkout desk, so I pointed and she spoke in French. I said English ? I read on the Sephora website, different countries have a different loyalty card because different currencies and exchange rates and anyone can have the ad even if you don't live in the country. 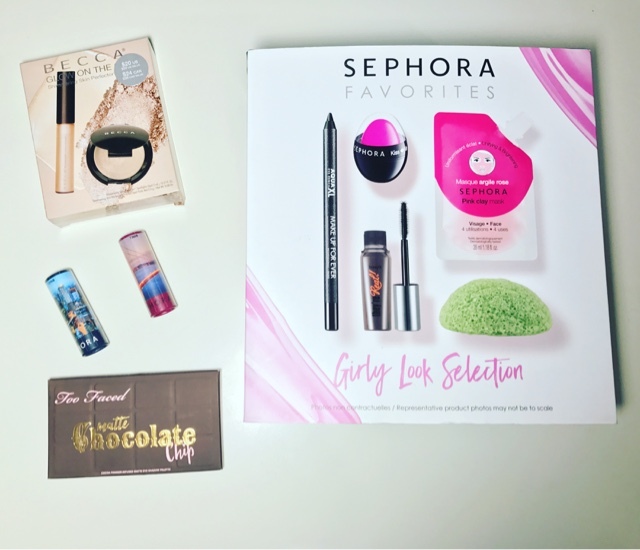 I then showed her my Sephora beauty insider card I got from Sephora in America. The woman just kept replying "French no no". I have no idea if she was saying she only speaks French or she was telling me you have to live in France for the card. I gave up realising with the language barrier, I was getting no where. This year I turn 30 after visiting New York 6 times over the past few years. It's time for a change. 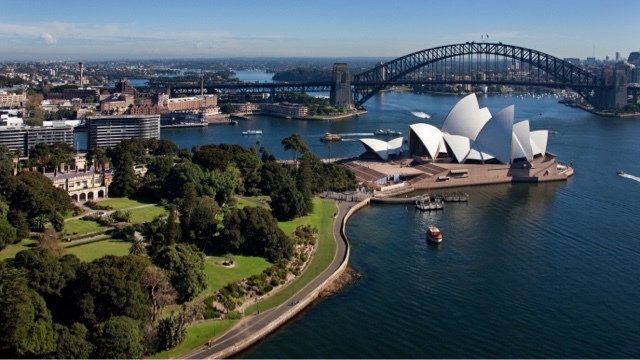 I will be heading to Australia over April and May, with my parents. We will be visiting, Melbourne, Sydney, Surfers Paradise and Brisbane. It's been a dream to climb the Sydney bridge and visit Bondi beach, ever since I watched Mary-Kate and Ashley's movie "Our Lips Are Sealed". I've never been to Australia before, so I don't know what to expect. What else should I see ? How much money do I need for a month in Australia ? Is the shopping good in Australia ?. Am looking forward to meeting distant family from Australia, who I found online a few years ago. I read a story online, which mentioned names I knew of. I emailed saying, I think we might be related ?. It turned out my great gran and her gran were first Cousins, so we are kind of 4th or 5th Cousins.